You do not have enough room for all your possessions in your new home? You do not know where to store your canoe in winter or your skis in summer? We may be able to help you. 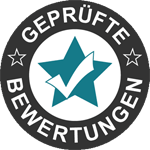 Our company in Stolberg provides furniture storage to our customers. We can store your furniture in a safe and secure environment in our own warehouse. Your furniture will be protected against unauthorized access and weather effects. All items will get numbered or labelled before we store them to avoid any confusion. External storage might be the right solution for you. In our dry storage rooms near Aachen your goods will be safely protected from prying eyes. We offer you furniture storage either in our own warehouse or in containers. Documents, furniture and many other items can easily be stored externally, so you can use your attic and basement for things that you need more frequently. Contact us to arrange a meeting and discuss a customized solution.